How to watch Pocoyo: Season 2: Dance Off! / Get Lost Loula / Sneaky Shoes / Shutterbug on Netflix Canada! Yes, Pocoyo: Season 2: Dance Off! / Get Lost Loula / Sneaky Shoes / Shutterbug is now available on Canadian Netflix. It arrived for online streaming on October 3, 2017. We'll keep checking Netflix Canada for Pocoyo: Season 2: Dance Off! / Get Lost Loula / Sneaky Shoes / Shutterbug, and this page will be updated with any changes. 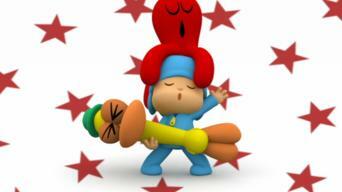 Pocoyo and Pato stumble upon a disco and Elly is the DJ. / Everyone plays hide and seek. / Pato, Pocoyo and Elly are having fun running and jumping.